This magazine will go on sale on the 30th of May. Exactly one month after that, it'll be 'Tsugunaga Momoko Last Live ♥ Arigatou Otomomochi♥'. How are you feeling right now? It still hasn't hit me yet. I feel like I'll probably go on like this, not realising it even as it ends. I guess that it'll hit me as July comes along, having used up everything I've got on the 30th of June. Have you finished planning out what's going to happen at your last live? It's not yet set in stone. However, I'd would prefer to make it a cheerful last rather than a solemn one. When did you set your heart on graduating? When Country Girls was formed (in 2014), I joined in with them as their Playing Manager (PM). I made a public promise to grow together with the members for two to three years, until they were all able to stand on their own. 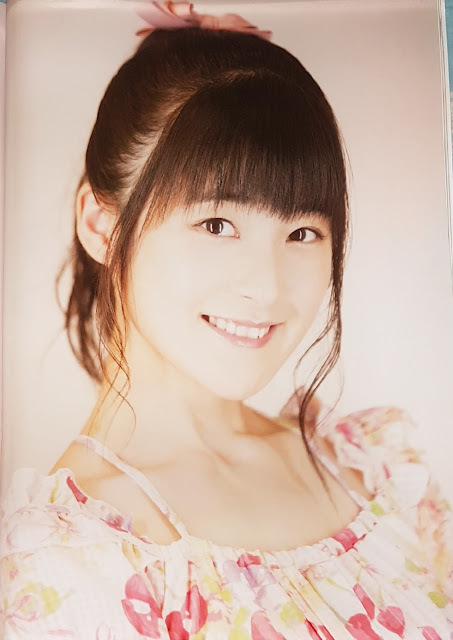 And there's also the fact that the 30th of June marks exactly 15 years since I entered H!P. So I was resolute about carrying this out. But I can't pinpoint an exact time when it happened, if that's what you want to know. I would think that it was a life changing decision though. That's true. I knew that my lifestyle would go through a complete change, but I also had no idea how things would pan out. You had no worries about it? I felt that somehow or the other, things would be all right. Having been an idol for 15 years, I've had a good education on how to be loved by people. Well, I've got a cute face, and I'm amiable, so honestly, wherever I go, I'll be invincible though. (laughs) So, won't I lead a happy life if I properly go through with my studies? Plus, I'm aware of my own strengths on top of that. First of all, what was your reason behind choosing to go to the education department for university? I've always really liked school in itself, and add to that my love of children, that's what made me want to go on to the educational department for university. Well, actually, being tasked with the responsibility of being Country Girls' Playing Manager played a bigger role. It's not that I'd tell them something and they'd respond with even more than I gave them, but becoming Country Girls' PM led me to awaken to the joy of teaching and educating. And since I'd always had an interest in it from the start, I feel like I'd like to take up this challenge at this point in time. I would like to take the 15 years of your life as an idol and split it into three periods, asking about your memories from each period. Firstly, please tell us of anything particularly memorable during your tenure as the Hello! Project Kids. 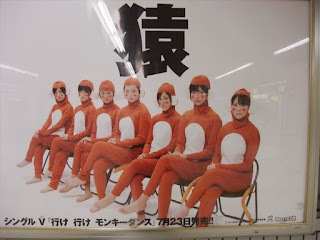 We passed on the 30th of June 2002, and we had a filming for a movie that summer (Koinu Dan no Monogatari). There, I got to act (in the role of a student) with my favourite Ishikawa Rika-san. And Ishikawa-san gave me a grape-flavoured gummy drop. That made me really happy! I valued that sweet, having received it from a senpai whom I admired. I kept it in my treasure box until it was almost expired. Ishikawa Rika-san bought it for you? It was probably something from the catering. (laughs) Well, it might have been something that she bought. Will you not confirm with her before you graduate? I don't want to crush that dream, so I won't ask her directly. (laughs) But I remember being really happy to receive something from someone whom I looked up to. Moving on, the 11 year period since you made your debut as Berryz Kobo. You can say the first thing that pops into your mind. 'Yuke Yuke Monkey Dance', right? I like how very comical the song is though. What really comes to mind was being told by the staff members that we'd be getting our new song on a billboard. I was ecstatic. 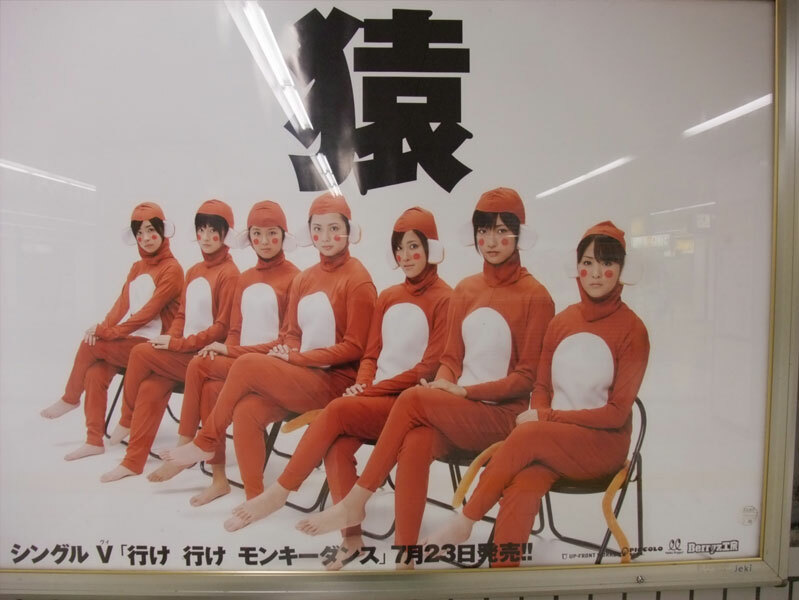 However, when it was unveiled, it was of the 7 us in full-body tights, dressed up as monkeys, sitting on plastic chairs, legs crossed, facing the camera with serious looks on our faces. It had quite the impact and drew people's eyes, so it was a really good tactic. However, I was still in high school back then. (laughs) And those billboards were situated at conspicuous places like Shibuya. In the mind of the student Tsugunaga Momoko, it was a bit embarrassing. You wished that they'd stop with the billboards, you mean? No, I was happy about them. We talked about the amount of visibility it would get, how many people would see them. But you know, we were like, monkeys... (laughs) What's more, all of us were given the same size. I think that Kumai Yurina-chan was slightly under 180 cm back then, so it looked like she was wearing three-quarter trousers. On the other hand, the outfit was all droopy on me. (laughs) Those outfits really made me feel the difference in our physiques. Well, I'll keep her name under wraps. (laughs) However, since then, I've always thought that she was exemplary. And you've been Country Girls' Playing Manager for about two and a half years. This is applicable to the entirety of my activities, but working together with girls who had yet to know their left from their right, I had to be careful about different things. If I did something wrongly, they'd copy me. And those mistakes would develop into habits, without them realising that they were getting it wrong. And in many ways, as a senpai to them in life, I'd have to act as an adult. That was also tough, but it gave me an opportunity to take another look at myself. But they're all really adorable. I'm really glad to be part of Country Girls. All of the members of Country Girls seem to have inherited the genes of Tsugunaga Momoko. Their ability to talk is extraordinary. It makes me really happy. People have asked me whether Country Girls will be okay, whether they'll be fine without Momochi-senpai. But instead, I want those girls to plunge forward with their own personalities, so much that my presence gets extinguished. You've been a part of four groups or units - Berryz Kobo, Country Girls, Buono!, and ZYX. I think that even in H!P, that's a lot. How do you feel about having experienced being in various units? I enjoyed getting to sing all sorts of songs. In Berryz Kobo, we got to sing a really wide range of songs. Buono! was rock, and we had concerts with live backing bands. Country Girls has classic idol songs, my favourite genre. I wonder how many recordings I've done... Music that includes my singing has spread all around the world, and lots of people have heard my singing. That makes me really happy. Byt the way, what's your favourite Berryz Kobo song? That's impossible. Hmm!...... (thinks for a long time) 'Towa no Uta'. For me, I prefer songs that I can sing with a smile on my face and not tear-jerkers, I like songs that pack a punch. In that sense, 'Towa no Uta' is a perfect fit. We performed it at our last live, and the sense of unity we had at the venue was unforgettable. It's a favourite of mine. And how about Buono! and Country Girls? What is an 'idol' to Tsugunaga Momoko? For me, having been an idol for 15 years, it's something that's as natural as breathing to me. It's because it's such a huge part of my life that I find it difficult to express... But I think that it's a place where the I packed the entirety of my youth. Have you attained your idol ideal? I don't have a specific idol that I'm aiming for. But at times, I have to make judgements on whether I'm doing something an idol does or not. I'm able to pick may path by picturing what I imagine an idol to be like in my mind and asking 'Yes or No'? So in that sense, I guess I'm used to it. What do you mean by 'Yes or No'? For example, I'm really particular about certain things, like whether I want to split my bangs. So I had hardships with the grown-ups, starting with Tsunku♂-san. Even those 'horns' (the Momochi Musubi) were something you were particular about. Horns.... (Speechless) Wait a minute. Staff member: Like a unicorn's. Ahaha! A unicorn would be fine. At one point in time, they were called buffalo horns. (laughs) Well, they're 'the wings of an angel'. As my trademark, it was exactly because of that hairstyle that I realised that I was getting far more recognition. At this point in time, may I ask how the Momochi Musubi came about? Excuse me for asking then. (laughs) Well then, finally, please give us a message. In these 15 years, honestly, if it wasn't for the presence of all of you who lend me your support, I wouldn't have been able to go on for so long, not even physically, despite the cuteness I possess. (laughs) So I'm full of gratitude. On the 30th of June, although it'll mark the end of the most valuable idol in Japan, no, the world (laughs), I worked hard on the path I believed in, so nothing would please me more than if you were to continue to support the idol world. And it would also make me happy if you take the time to remember me, around once a year. Thank you very much.